Since the launch of the United Professional Arm Wrestling Rating (URPA) in December 2018, we have agreed to cooperate with 16 organizations around the world that cover more than 80 countries with their activities. Unfortunately, today we do not know exactly how many future professional armwrestlers live in these countries, but according to our approximate modest estimates, this is at least 300,000 people. 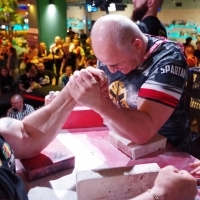 The main task of the URPA team is to help local athletes and organizers to gain access to an international rating in order to legitimize our sport in their countries and to attract sponsors and government organizations to develop and promote armwrestling. This will enable athletes to build a professional career, organizers and promoters - to build a sports business on a reliable foundation and to offer athletes and the general public interesting events with good cash prizes and a history of fights of participants. To accomplish this task, in order to implement the URPA standards in the most remote corners of the planet, we need to create local centers for information support and training for athletes, referees, tournament secretaries, local organizers. The function of such centers will be performed by the National Representatives. Also, their responsibility is to resolve issues of compliance with the rating of local legislation and the implementation of large national projects in conjunction with the Professional Armwrestling League. Igor Mazurenko and I are now at the airport after a 13-hour flight from Southeast Asia. We visited China and Malaysia, where we held talks with our national representatives in the region. Today we receive a lot of applications from various organizations about the direct cooperation. In some countries, there is a certain competition between arm wrestling organizations. On this occasion, I would like to say the following. Organization-National Representative of PAL is not a sanctioning body that authorizes events in the territory entrusted. This function, rather, can be called "service" one based on the main tasks of the representative. A certified PAL Organizer can be any organization that undertakes to work in accordance with the Rules of the Rating and the Rules of the WAF. The organizers interact with the Rating directly from the moment when the rating team has confidence that the organizer works in accordance with the URPA standards. Many people ask the question: who then controls the Organizer if the National Representative does not have authorization powers? In the Organizer - PAL Agreement, which is signed by all certified organizers, says that the organizer is solely responsible for compliance with all rating standards. In the case of the appearance of information proving a violation by the organizer of the Rules, all information about the event of the Organizer may be excluded from the Rating and the Organizer may be disqualified. Thus, the Organizer is controlled by athletes, referees and other participants in the competitive process. The rating system is designed in such a way that everyone - National Representatives and Organizers are interested in increasing the number of certified athletes and certified competitions, regardless of the history of their relations with each other. The rating works with everyone directly and this opens up equal opportunities for all. Therefore, today we invite to cooperation all the organizers who want to develop in the armwrestling sports industry. The application process for obtaining the status of a certified organizer is very simple: on the website of the rating armwrestlingrating.com, in the “For Organizers” tab of the menu, you can submit an application by filling out a simple form. Our team will review the application and contact you directly or through the National Representative. We wish everyone good luck in the development of our favorite sport!